Flatpicking, fingerpicking, chording, arranging, and melody enhancement through the use of scales and arpeggios. Basic music theory is taught (painlessly) as it applies to lessons. His lessons, arrangements, and compositions combine a respect for traditional sounds with a modern, blues-influenced sensibility. Folk, Celtic, Blues, Country, Pop, and more depending on your instrument and interest. Dusty grew up strumming guitar and singing “Kum Ba Ya” and “Blowin’ in the Wind” before it was a cliché. A professional historian, he sees traditional music as a way to connect with people from the past, especially those who left few written records of their lives. 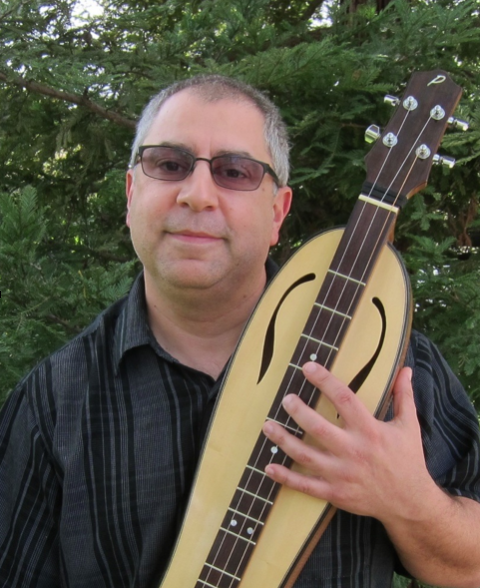 A long-time guitarist and occasional mandolin player, Dusty discovered the dulcimer about six years ago and has been obsessed ever since, entranced by the simple beauty of the instrument’s design and sound. About three years ago he founded River City Dulcimers, a group of musical friends that meets monthly in Sacramento. A Moderator at the immensely popular website Friends of the Mountain Dulcimer, Dusty has been a regular at music events around Northern California, having taught workshops at the Berkeley Dulcimer Gathering and performed at events such as Petaluma’s Art in the Park festival and Old Sacramento’s Gold Rush Days.